Now that the holidays are behind us, you may be already working on your resolutions. And one of the top resolutions among most people is to lose weight or eat healthier. Now you may have overindulged during the holidays, but there is no time like the present to get started on getting rid of that holiday weight gain. So here are some tips to help you with your goals. Sugars are unnecessary simple carbohydrates that lead to weight gain. While you may have been indulging in plenty of cookies and pies over the holidays, the new year is a good time to cut those extra sugars out of your diet. Avoid other simple carbs like breads and pastas as well, which have hidden sugar. You may feel like the easiest way to lose weight fast is to skip entire meals. However, skipping meals leads to hunger which can, in turn, lead to periods of binge eating. 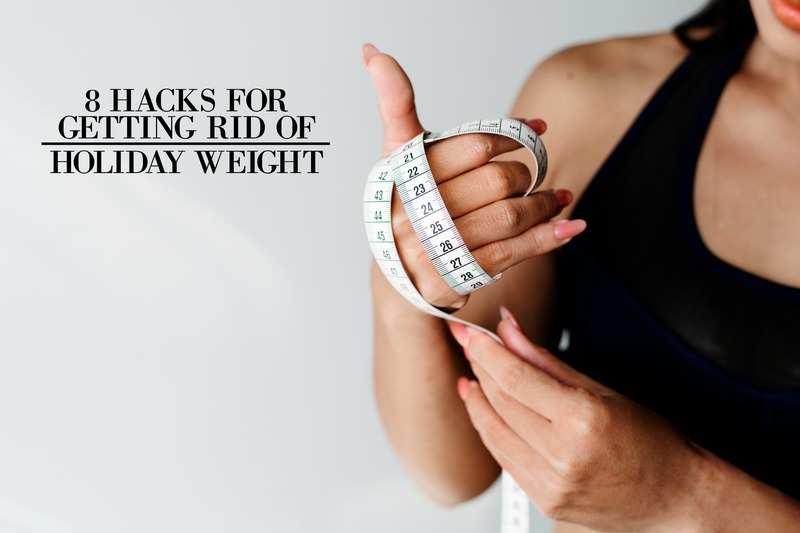 This makes losing weight almost impossible so be sure to continue to eat your meals while making healthier decisions like choosing veggies and healthy proteins. Staying hydrated can help your body lose weight fast. It leaves your body feeling fuller and helps aid in digestion. Drinking a glass of water throughout the day helps prohibit extreme hunger and over-eating. Sugary soda can lead to a number of health problems including obesity. Even the artificial sweeteners in diet soda can trigger insulin spikes which can lead to weight gain. Substituting water for soda can save you thousands of calories a week and boost your weight loss goal. Nothing aids weight loss faster than exercise. Fortunately, many gyms offer discount memberships at the beginning of every year so sign up for some classes and commit to them. If you already have a workout routine, bump up the intensity to give your metabolism a boost. Keep track of your calorie intake and exercise so that you can be sure that you are creating a 500-calorie deficit with your daily intake. A 500-calorie deficit will lead to a one-pound weight loss per week (so eating your normal meals and then working out that day to burn 500 calories). One reason that we end up gaining weight in the first place is our inability to eat mindfully. It is much easier to eat a sugar-filled protein bar in the car on the way to work than it is to sit down and slowly concentrate on eating a full breakfast. When you eat, be sure to pay attention to the taste, texture, and amount of the food that you are consuming. Diet and exercise plans are always easier to follow when you have someone—or even a group of people—to share the experience with. Find a friend or family member, or even join an online group to meet people, who will be willing to encourage you through your journey. This can include eating healthy with you or accompanying you to the gym a few nights a week. Losing that holiday weight may seem like an overwhelming task, but with patience and persistence you will see results that will lead you into a happy and fulfilling year.